You must make reservations at least 5 minutes in advance of the time at MW Restaurant. A limited number of self-park stalls are available on premise. There is metered parking located on Makaloa Street as well as a paid parking lot at the neighboring First Hawaiian Bank. MW Restaurant is available for catering events. Please visit our website at, www.mwrestaurant.com and click on the 'Private Dining and Catering' tab to fill out our event form. Our catering manager will be in touch with more information and our available menus. Casual dining with a Hawaii Regional Cuisine flair accompanied by exquisite desserts. Special Family Style Set Menu. Lunch - $55 per person and Dinner - $75 per person. Keiki Menus will be available. Special Family Style Set Menu. Dinner Only - $75 per person. Keiki Menus will be available. It was a very good dining experience. My wife and I had an early dinner reservation on a Sunday for 5:15pm. We drove past the restaurant once - the signage isn’t the greatest - it’s two forks going in different directions to form the MW - but for your first time there it’s hard to find. We chose the 5 course tasting dinner at $90 each and then added a clam dip appetizer. My wife doesn’t like certain kinds of fish - especially not raw fish - so a couple of the appetizers she did not care for but overall I thought they were very good. The scallops, kampachi and appetizers were very good - my braised short ribs were very good - my wife’s however - thinking back now - we really should have sent it back. She was only able to have one bite from the dish - the rest was literally all fat. It was too bad too because it was the dish she was most looking forward to trying. It was our own fault for not saying anything to our waiter, Tyler, because he was super accommodating and the service was fantastic - he would have replaced the dish had we said something to him. The deserts were very good as well. They accommodated my wife with a dessert with less dairy in it - which was fantastic as well. We were thinking of the different meals we’ve had in Honolulu. This is an excellent restaurant with fantastic service. It was probably the second best place we had been too while on vacation. We didn’t feel it was quite as good as Alan Wong’s restaurant but WM Restaurant is more like a 4.5 and Alan Wong’s was a 5, but it wasn’t far behind. Great dining experience - we’d go back again! Everything was delicious with many a la carte as well as tasting menu options. 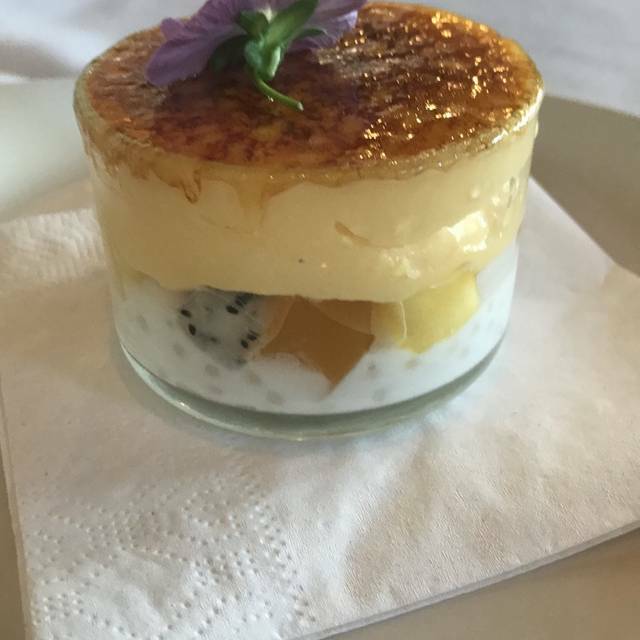 The tropical fruit brulee was amazing. The food was too oily and greasy that I could not finish everything(beefandfoigras). The meal wasn't balanced for your palate. A business lunch on a holiday was a concern, but, from the parking lot attendant "creating" a stall for me, the hostess being so gracious and bubbly and our server being genuinely aloha - it was successful! The food was fabulous - quesadilla with duck and pork hash, GENIUS! So ono-licious. 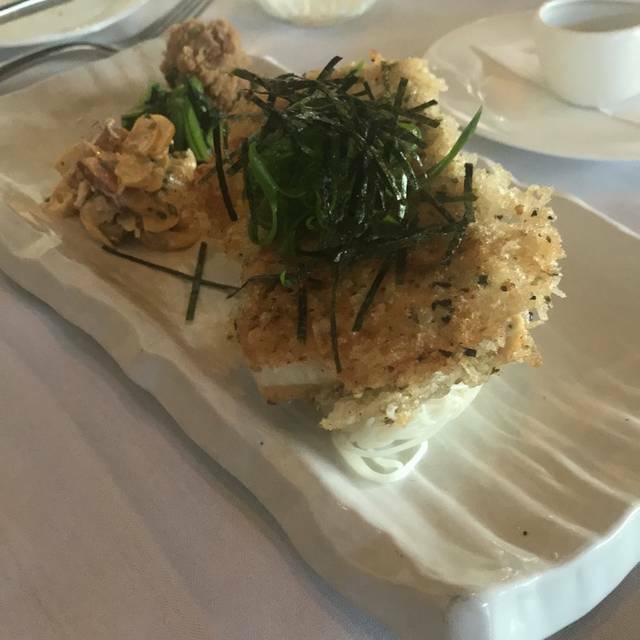 My butterfish was a perfect size and a great recommendation by Richard, our server. Of course - gotta have SHAVE ICE for dessert! The only downfall was our food took SO LONG to come out! Each course was slow and had to ask for a refill of iced tea. I think our server saw my body language when the family on the next table got served before us and came in after. He apologized and tried to be more attentive - the food can be the best...but if the service and/or server aren't in it to win it - it's a poor review. Luckily, my guest enjoyed the food, ambiance and experience which made for a successful business lunch. Lovely restaurant. Very personal, great attention to detail, creative and tasty food. Highly recommended. I would emphatically recommend this restaurant. The service was excellent and friendly. The food was fabulous. Every dish was delicious. We all four agreed it was one of the best meals we've ever had. And it was quiet enough that we could converse! Plan to come hungry. Our group enjoyed the beet salad (like namasu), kampachi with somen, scallops, and several desserts. It's hard to decide whether the food or the servers draw us here. The food is always superb but our server, Austin made it a special experience. He was always checking on us making sure we were enjoying the evening. The entrees were done perfectly. The desert options were memorable. Great happy hour selection and price! Great food experience! The butterfish is unbelievable as well as the crab pasta. Portions are generous. I only give it 4 stars as the ambience is too bright/no pictures on the wall, and not ideal for a romantic dinner. Great service, too. Yes, yes, yes. Everything was exceptional from the moment we walked in until we left. It’s hard to rate a restaurant with 5 stars without at least a flaw. But to my surprise I couldn’t find anything wrong with MW Restaurant. Great food as always! Would recommend MW to everyone with a desire to eat excellent cuisine. We were recommended MW by a friend who said it was a great spot, off the touristy path and what a perfect recommendation it was! The atmosphere is clean, bright and upscale, the food is UNBELIEVABLE and the service was outstanding! I have only GREAT Things to say about this restaurant and will definitely be coming back. 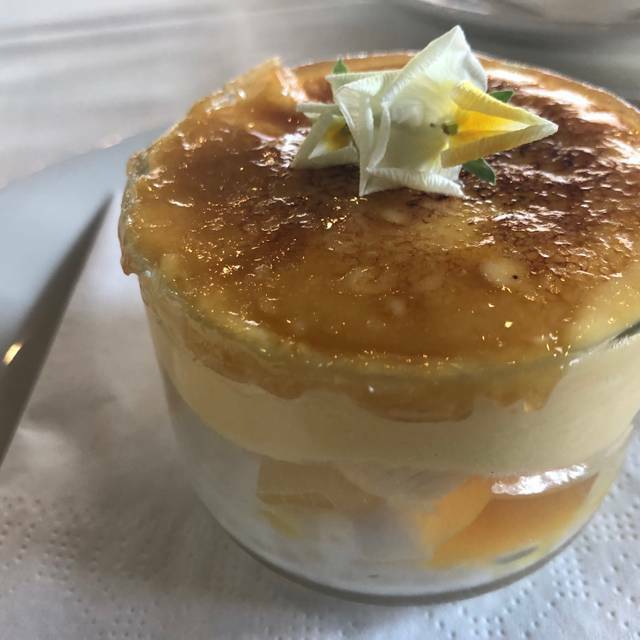 If you go you absolutely MUST have the tropical "brulee"...even if you are totally full DO IT!!! I'm still dreaming about it now! We loved this restaurant! Knowledgeable staff. Simple yet elegant space. Sound was not a problem. Half price small plates During happy hour! These appetizers were really good, especially the arachini. Service, quality and cost were great. New favorite restaurant to recommend!! We enjoyed sitting at the Chef’s counter. Our waiter Jen was very efficient and helpful. Everyone is very friendly and the food was delicious. Excellent menu. Food was delicious. Great and inventive drinks as well. Service was phenomenal. 5 star service, we had the pre set menu. Couldn’t make up my mind on the lunch entrees. So many to choose from! The best culinary experience I’ve had. Ever bite was so savory. Love the way Wade uses local grown food! 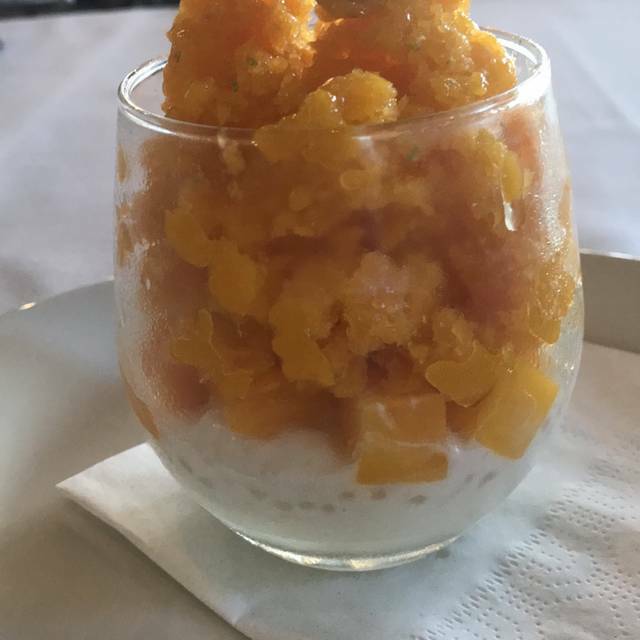 And the desert out of this world! Lilikoi creme brûlée!!! Absolutely superb. Delicious! This is a very special restaurant with unique dishes and beautiful service. We visited from out of town and were not disappointed. We enjoy good, well-prepared food, and this is a place where meals are made from the heart. Truly! Some of the preparations were completely new to us, and we loved that. One of us had the smaller of the set tasting menus and loved all the different tastes. The homemade focaccia was light, with a perfect texture. This restaurant alone is worth traveling to Honolulu. Highly recommend to foodies, AND this is also a solid local spot for the lucky denizens of the area. Awesome! Service was excellent and they allowed us to hang out as long as we wanted to catch up with each other. Bartender was great! Excellent food and service- can't fault it! However they seriously need a make over with the restaurant as there is no ambiance or attractive surroundings at all. This place keeps getting better! I thought I had tried everything, but they had a new open faced roast beef sandwich that was swimming in au jus.....good god it was amazing. I have also noted their Japanese whiskey selection is extensive. Great service, great food, great everything! Loved the service and food. The gift of a bag of yummy granola as a birthday gift from MW was a Bonus! Wait staff were nice, but service was super slow even for a Monday. But the real problem was the food. 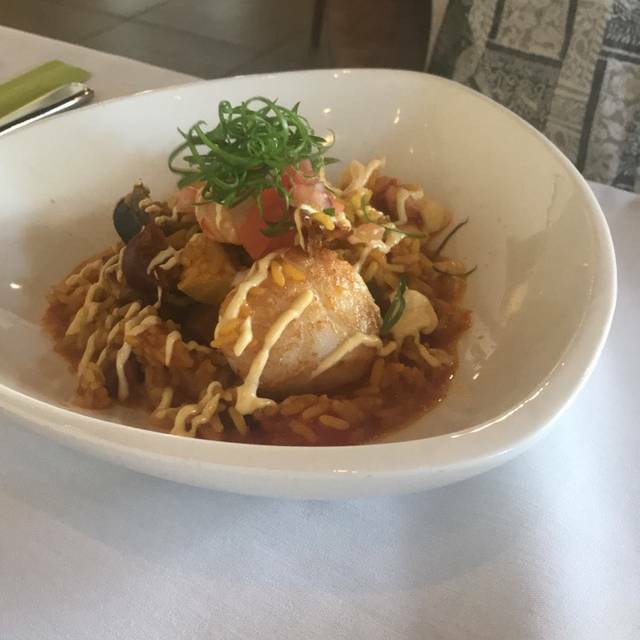 The fried fish was fried in old oil, but the “paella” was closer to a wet jambalaya, and the seafood that came on it was far from high quality—way overpriced for the quality of ingredients, and preparation was also weak. I ordered the fried okra, and most of them were so mature as to result in unchewable fiber. I swallowed one and almost choked, and then had to spit the rest in my napkin. Determined to get some veggies in me, I then ordered the “steamed Chinese vegetable “ which was over cooked and flavorless bok choi—I had a couple of bites and then realized that I shouldn’t be forcing myself to eat this food. The cocktail was weak. The dessert was good—it may be advisable to just go for dessert. Or with ground-level expectations. An unfortunate way to spend our last night in Hawaii, especially after a 20-year absence. Awesome food. This was our favorite meal in Honolulu during our 5-day stay. Server (Deon) was very knowledgeable on the menu and individual foods. If you are a big meat guy, get the Pork Ribs with onion rings. Service was also excellent. I appreciate the fact that the chef doesn't want anything leaving the kitchen unless it is up to his standards. 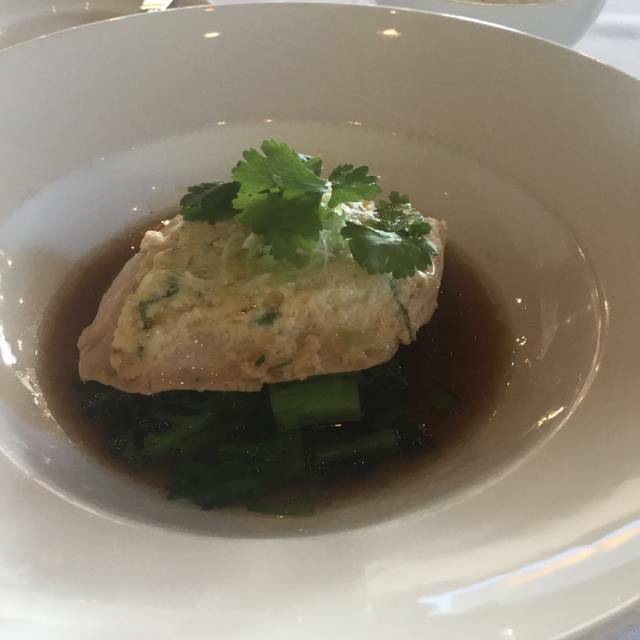 The food is always remarkably good, fresh and beautifully plated. Standouts are the appetizer tacos, crabcakes, and delicious butterfish. The waiter brought us a taste of the wine we were considering -- a nice touch. Service is friendly. I have to say I was disappointed in a couple of areas. And I've been to this restaurant many times. First, it was a special occasion...an 18th birthday. 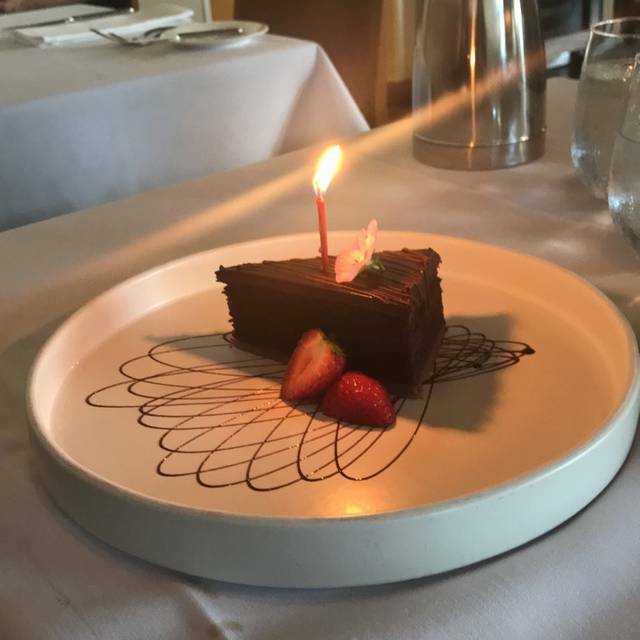 Other than an acknowledgment by staff there were no candles on the dessert or anything special that I would expect from a restaurant of this caliber. I would have paid for it... AND...the food came to us in a temperature that was warm but not hot enough for food that is prepared to order. The most disappointing was the butterfish which is usually spot on. It was very fishy and un-appetizing compared to the other times we've had this dish. I just ate dinner the Wednesday previous for a biz dinner and the Butterfish was great. Not sure what happened on this night. Desserts and other dishes were great as usual. Our party of five enjoyed dinner on Saturday night. While the restaurant was full, service was attentive and timely. Food, as always, was excellent, and Michelle's desserts were a hit. My wife and I wanted to try a restaurant we don't ordinarily go to for our anniversary and I saw on-line that MW is highly rated. My wife had the Kanpachi and I had the rib eye steak. Definitely understand why the Kanpachi is a signature dish and I thoroughly enjoyed the steak. Best place for special occasion. The service is top notch. Get the butterfish, probably the best dish I’ve tasted. This restaurant is an all-around best! 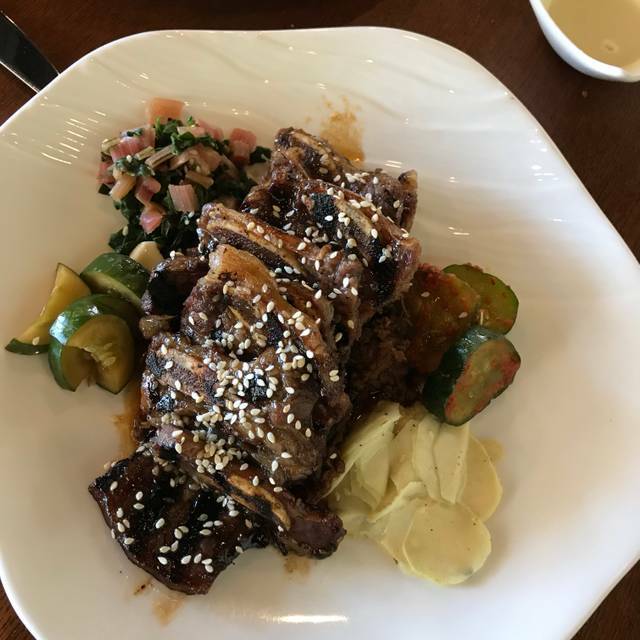 Excellent and friendly service, exceptional food, and it's just a wonderful ambiance to see many locals and familiar faces dining there during lunch and dinner. The owners are always working so hard in the kitchen, it shows a lot of love and pride for their restaurant and guests. Outstanding food and service. One of the top restaurants in the state. MW had some of the best short ribs I’ve ever had. The glacé on the ribs was delicious and the mashed potatoes were addictive .Totally worth leaving Waikiki for the short drive to MW. Great menu, great chef, great staff - always. I have never even been close to being disappointed. Always impressed. Our server was not at the top of her game. It wasn’t that busy but she forgot a few things and took a long time to process our tab. It was still a positive experience - the birthday ice cream sandwich is a nice touch and much appreciated. Could not be happier with our lunch. Excellent service and meal, arrived early after a flight from the Bay Area and they treated us perfectly. And save room for dessert. 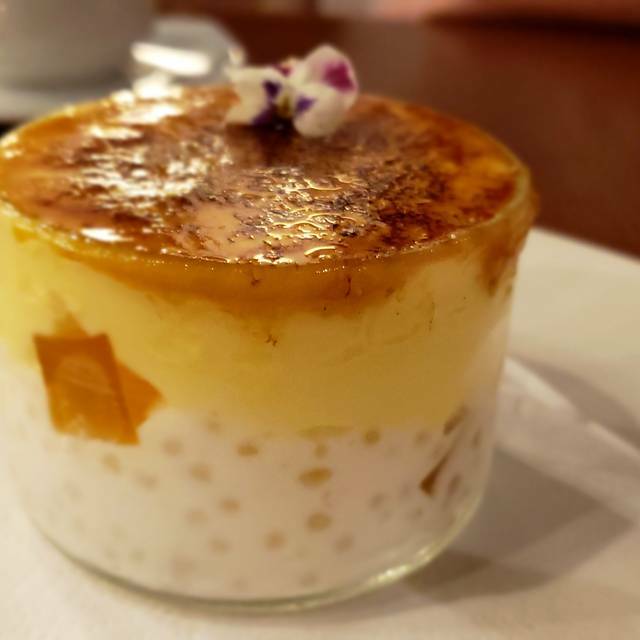 The lilikoi crime brûlée with tapioca is a show stopper. 5 stars. We had such a pleasant time dining at MW for lunch! The staff is always impeccable and makes you feel appreciated as a guest. Our food came out in a timely manner and tasted great! I will definitely be back to enjoy more of the MW experience. Thank you!